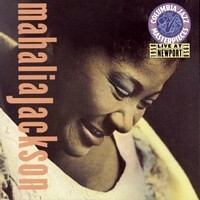 Mahalia Jackson was born in a poor family in New Orleans. Her mother, laundress and maid, died when Mahalia was 5 years old. Her father was a Baptist preacher and barber. Mahalia was brought by her further family. Her grandparents were born in slavery and spent their lives on the cotton farm in Louisiana. Mahalia started to sing in a church when she was four. Created her own style, inspired by blues, rising jazz and singers: Bessie Smith and Ma Rainey. At the age of 16 she moved to Chicago to become a nurse, however changed her plans and opened… beauty shop. But at the same time she sang solo more and more in churches, at funerals and other ceremonies. 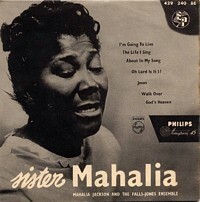 She became a member of The Johnson Brothers – one of the earliest professional gospel groups. In 1937 she began her solo career and recordings. Soon became very popular. In 1948 single “Move on up a Little Higher” became a huge success (sold in 2 million copies) and stores could not stock enough of it to meet demand. For about 10 years she cooperated with famous composer Thomas Dorsey. Mahalia sang at Newport Jazz Festival in 1958 and for presidents: Dwight D. Eisenhower and John F. Kennedy (also at the latter’s inaugural). She performed in many prestigious places, such as New York& Carnegie Hall, also in Europe, Africa, Japan and India. 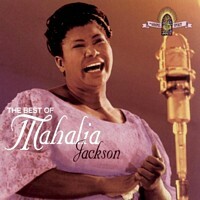 Mahalia Jackson lent her powerful voice and imprimatur to the Civil Rights movement of the Fifties and Sixties. 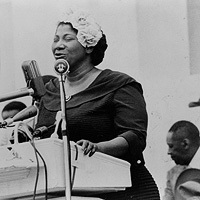 At Martin Luther King’s request, she sang “I’ve Been Buked and I Been Scorned” to the crowd of 200 000 just before his “I Have a Dream” speech in August 1963 at the March on Washington. Morover, it was she who encouraged him to speak about the dream. She cooperated and was on friendly terms with personalities such as Ed Sullivan, Duke Ellington, Louis Armstrong and Percy Faith. Recorded for Decca, Apollo Records and Columbia Records. 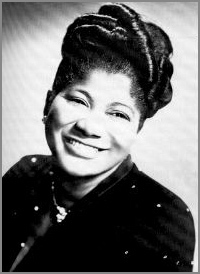 In 1972 Mahalia Jackson was honored with the Grammy Lifetime Achievement Award, in 1997 conducted into Rock and Roll Hall of Fame and Museum. Next year her face appeared in the stamp issued by the U.S. Postal Service. 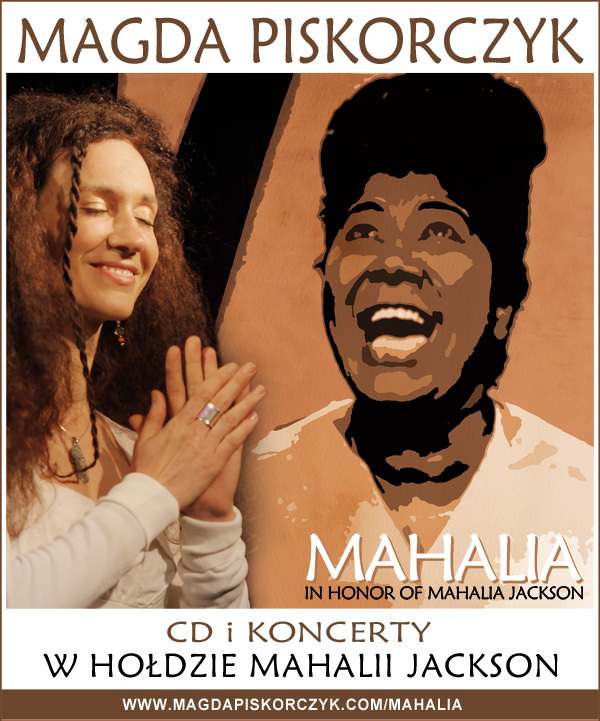 Mahalia revolutionised gospel music, infusing it with blues phrasing and other elements from secular music, especially jazz. She inspired many singers, for instance: Little Richard, Aretha Franklin, Etta James and James Cleveland. 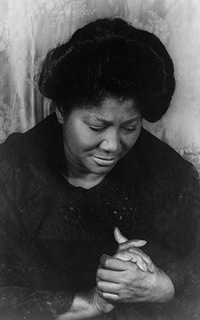 Mahalia Jackson’s fervent contralto is said to be one of the most unique and superb voices of the XXth century. She sang with such passion and charisma that even decades after her death, for many listeners, she still remains a symbol and the main achievement of the gospel and spiritual music.